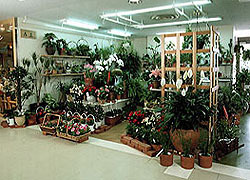 Interior Gardens and Plant Rental | Hanatoyo Landscape Co.,Ltd. We design interior gardens and in-house greens. From large ornamental foliage plants, small pot plants, air plants, to Koke-dama (small plants with roots bundled with moss); all are available in our shop with reasonable prices. Monthly rental (available from single pot) might be also a good option for your home and offices!